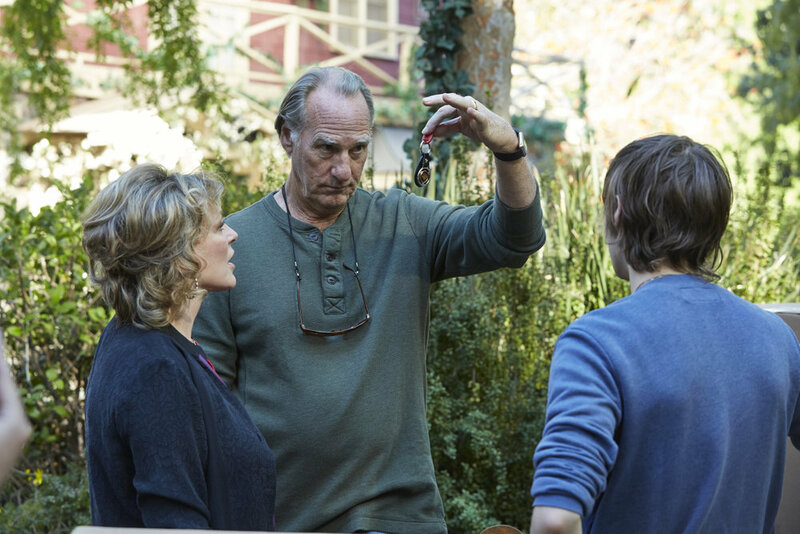 After another fairly emotional episode of Parenthood last night -- thanks Kristina -- this series is ready to take us to its finale. Is this going to be one of those happy season endings where most of the drama seems wrapped up? Or are we going to be left hanging on some big issues, like Julia and Joel's future, and whether or not Zeke and Camille really sell the house. And then there's Haddie. Who? Remember Haddie! She's home! And she has a girlfriend. Let's talk about Haddie first, since that seems like a big focus of next week's "The Pontiac." Adam and Kristina's eldest daughter is coming home and she's got a friend with her. The preview shows them kissing and talking about telling people something. And we also have Max asking his mother if two girls kissing means they're lesbians. Did he walk in on something? If so, it seems like Haddie's not going to have a choice on whether or not she's ready to tell her parents about her (presumed) girlfriend, as it's unlikely Max will keep quiet about that. Either way, I'm excited Haddie's back and very interested to find out what's going on in her life. Moving on to other kissing, are Hank and Sarah on their way back to romance? Honestly, watching Hank and Max's budding friendship all season, I kind of lost interest in his romantic relationship with Sarah. But after last night's episode, where were saw Hank calm Max down almost effortlessly, and then drive Amber all the way down to San Diego, he completely won me over as a good, reliable man for Sarah. So if next week's finale puts them back together, I'm in. As for Joel and Julia, I have no idea what is going to happen with those two. We see them together in the preview, and after last night, it seems like Joel has finally decided he misses his family. But how will he react if he finds out Julia actually did sleep with someone else? Given how he reacted when he found out another man kissed her, it's impossible to say. But he's been pushing Julia away all season. Is it possible he'd be able to see that and choose to start fresh with Julia? Or maybe she just won't tell him about the guy she was with. The problem with Julia not telling Joel she slept with someone is that this is not a show that buries secrets. Things get resolved with this family. They get worked out one way or the other. I just don't see that staying a secret forever, which means better it come out now than later, right? So I kind of hope she does tell him so that it's out there and they can deal with it however they need to deal with it. Rather than leaving us uncomfortably hanging between now and next season how when and how Joel will find out, especially if he's looking to reconcile. Finally, on the subject of Zeke and Camille's house, I'm not sure if they're planning on resolving that situation by the end of the season, but is anyone else hoping Crosby or someone else in the family might put in an offer? I hate to think the house would really be sold to someone outside family, so I hope either Zeke and Camille decide to stay, or someone else in the family buys it. In the meantime, the episode is called "The Pontiac" and we do have a photo of Zeke and Camille standing by Drew, who looks pretty pleased in that convertible. Check out more photos in the gallery below, and tune in Thursday, April 17 at 10:00 p.m. ET on NBC for the Parenthood Season 5 finale.